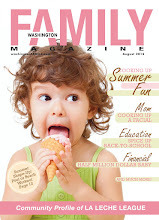 Well, I had my first assignment as a mommy blogger for Washington Family Magazine online. 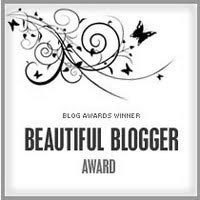 I chose to write about The Dulles SportsPlex (DSP) in Sterling Virginia. Interesting how people who live and work in the area say, "Wow I did not know you were located here". It's an ironic statement, as the sportsplex is enormous measuring 79,000 square feet. You really could not miss it. There are so many activities and events being held at the space. They have the usual after school programs, summer camp and birthday parties. Their specialty is soccer, basketball, volleyball and flag football. What is nice is they have sporting events such as the new favorite, dodge ball, karate and inline hockey; played on roller blades. Now the programs are not just for children. DSP has leagues for adults as well. I was pleasantly surprised to find there was a free Dog Show for all the k9 lovers, which will be announced on their website and coming soon is a Consignment Sale (Thrift Shop) which has been hosting events within the facility, successfully for two years. It's interesting that the first sporting complex was opened as a result of seeeing the need for an all inclusive sporting facility and out of a competitive spirit for building beyond the minimal standards of the local, existing, neighborhood sporting center. This gave birth to the sportsplex facility in Rockville, which opened in the year 2000. Jamie, who manages the Dulles site, opened in December 2003, started as a journalist, to using the services, while working in the Rockville sportsplex. The owners wanted to expand and they knew just the person to hire at Dulles. I liked the fact that the staff are just as friendly as Jamie the manager, even in the mist of being pretty busy.